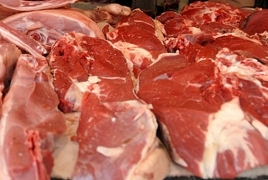 PanARMENIAN.Net - Armenia will export meat and meat products to the United Arab Emirates, the Ministry of Agriculture said on Monday, September 10. According to the statement by the Ministry, the UAE Ministry of Climate Change and Environment and Armenia’s State Service for Food Safety are currently negotiating the issue. A corresponding certificate has already been confirmed by relevant authorities in both countries.